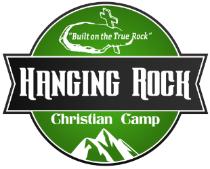 Hanging Rock is a volunteer driven organization; volunteers are essential to running a successful camp ministry here. We thank you for considering volunteering for our summer camp programs! You will need to look over our statement of faith and provide your electronic signature to abide by our policies and beliefs. If you have been asked by an Event Coordinator to help with a camp session at Hanging Rock please click here to start the background screening process.